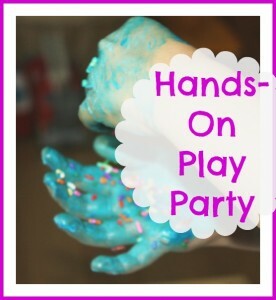 Welcome to the Hand-On Play Party! 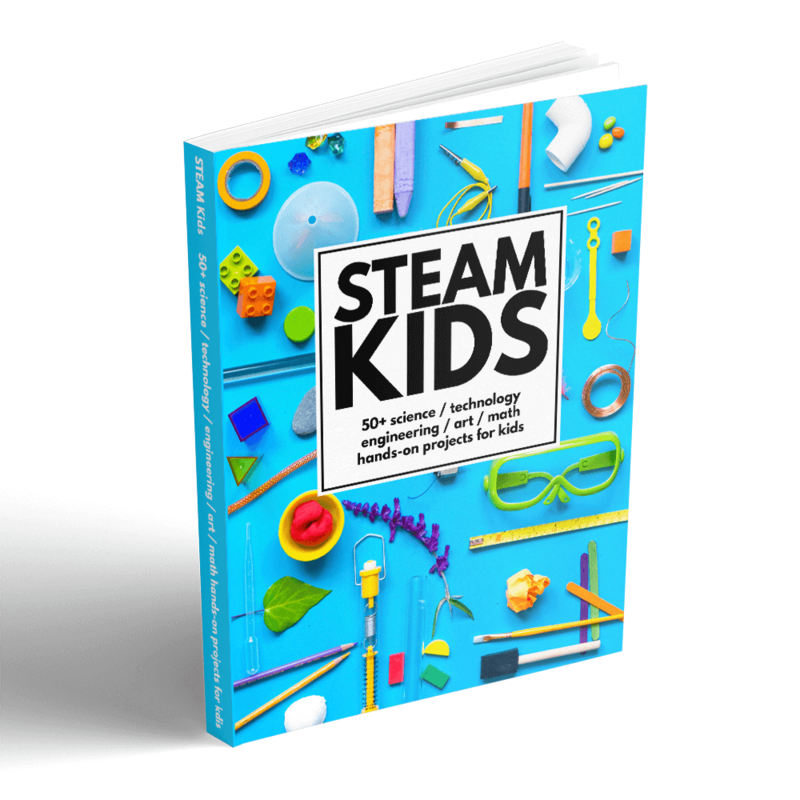 Each week my co-hosts and I will share our ideas for a fun, hands-on activity! 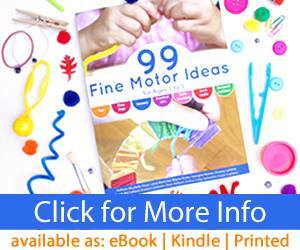 This is also a linky party for any hands-on learning activities for kids of all ages! 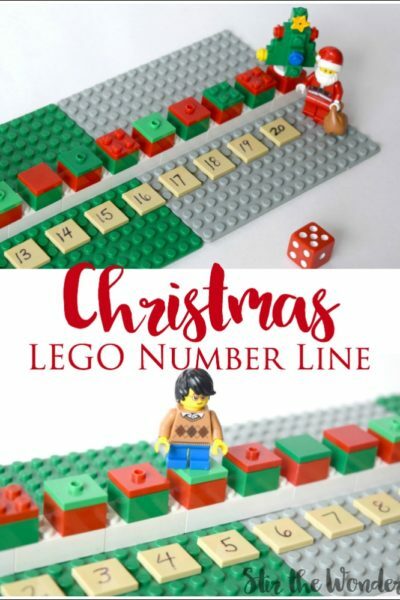 So be sure to check out all the great links shared at the end of this post! 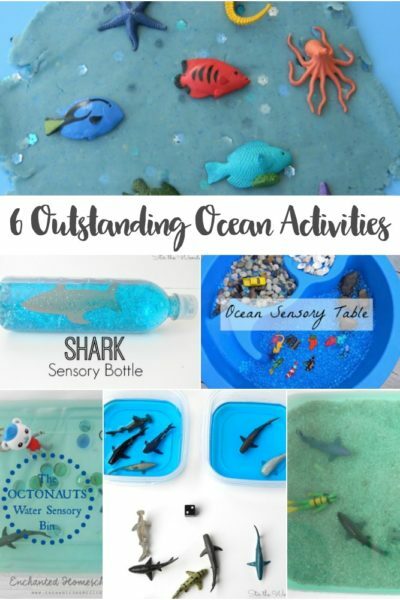 If you are a blogger I invite you to share any ideas you have for sensory play, early learning play, gross and fine motor skills play, and indoor/outdoor play that is presented in a hands-on way! While researching homeschool methods that might work for an active preschooler I came across The Rocking Chair Method. 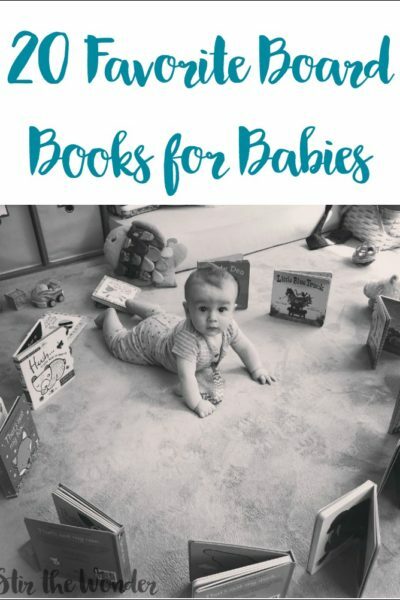 This method intrigued me and I thought that it might work for Caden as he likes to sit in his rocker and read a book before his nap and bedtime (about the only time he is ever still). And while I read reading about it, I was thinking it would translate well into a quiet book. I began to think about what I wanted Caden to learn this year and one of those things is his name and the letters that make up his name. So I made him this simple quiet book page with a clear pocket to hold a picture and puzzle pieces with the letters of his name. 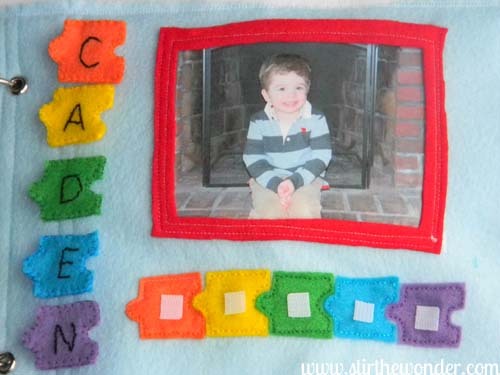 Each piece can be attached with velcro and I made them all different colors to help him learn the order of the letters by matching up the colors. 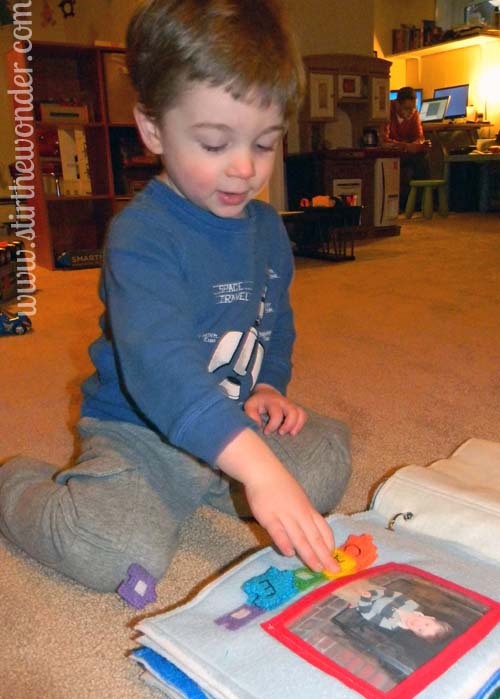 Caden has looked at his quiet book a few times, but hasn’t really been interested in playing with it yet. And he was previously resistant to working on it with me while sitting in the rocking chair. Hopefully he will become more interested as he gets older. And maybe other pages I am working on will be more interesting to him. 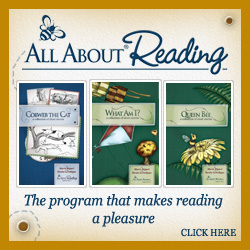 But for now we will continue to read books and play! What do your preschoolers enjoy doing? 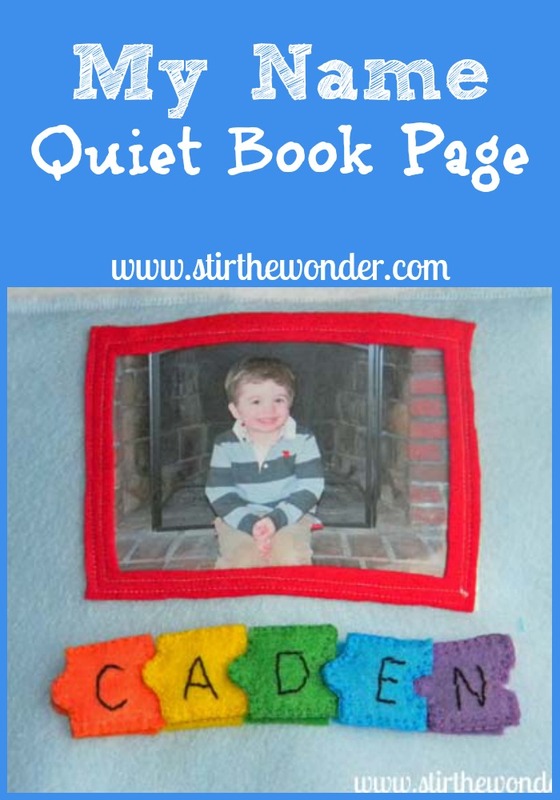 Have you made them a quiet book? 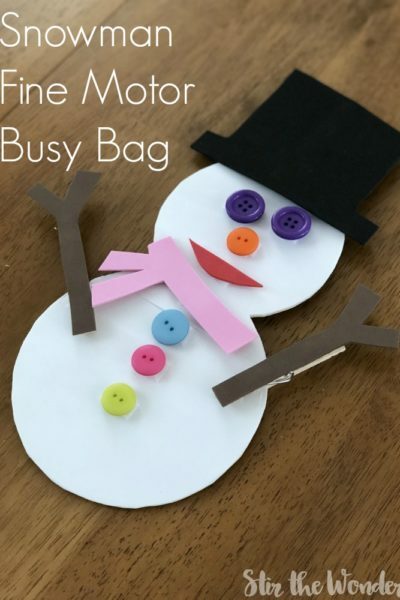 Check out my Quiet Book Board on Pinterest for more great ideas! Follow Samantha @Stir the Wonder’s board Shhh… Quiet Books on Pinterest. 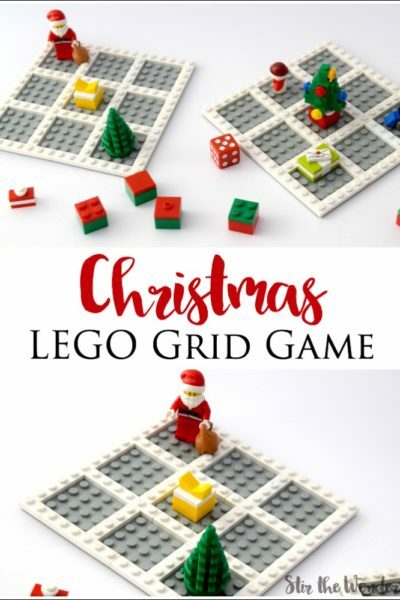 Looking for more Hands-On Play ideas? 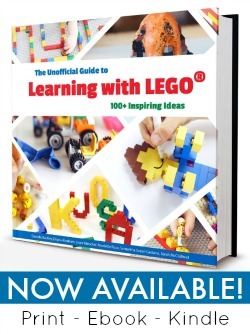 Link up and check out some great ideas below! 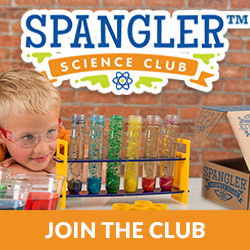 We have been very into doing science activities lately, and I think Caden would love to explore magnets with this Magnet Discovery Bin from Craftulate! 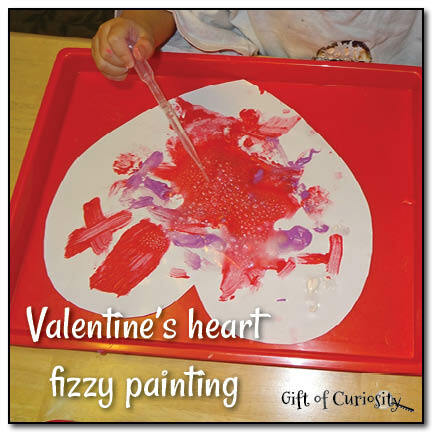 And since this week is Valentine’s Day I think it would be fun to celebrate by creating Valentine’s hearts with fizzy paint hearts from Gift of Curiosity! And now for the Linky Party! Disclaimer: By linking up you are granting me permission to feature your post using a photo with proper link back.